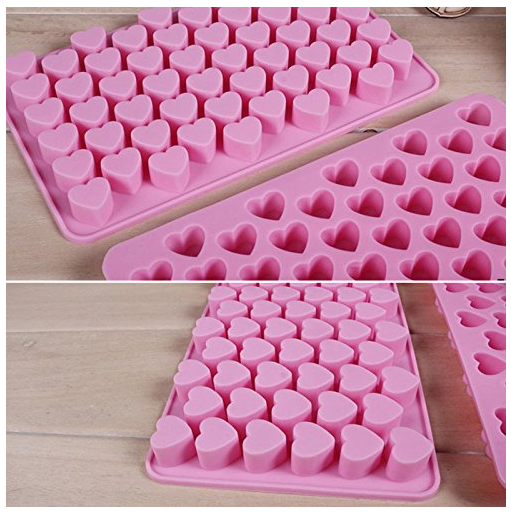 Heart Shaped Silicone Molds For Desserts or Ice Only $3.99 + FREE Shipping (Reg. $10)! You are here: Home / Great Deals / Amazon Deals / Heart Shaped Silicone Molds For Desserts or Ice Only $3.99 + FREE Shipping (Reg. $10)! How cute would these be for Valentine’s Day! Snag these Heart Shaped Silicone Molds For Desserts or Ice for just $3.99 + FREE Shipping (Reg. $10) right now! I just ordered some for myself – I can’t wait to make heart-shaped ice – the kids will love it, too!